Our Business Premium Members support the nonprofit sector by providing discounts and special deals exclusively for Nonprofit Connect members. Mention your Nonprofit Connect membership to take advantage of Members-Only Offers on quality services, technology and products. Find discounts and offers for fundraising and software services, marketing and print services, board assessment and strategic planning services, cybersecurity services, legal and financial services, and continuing education. We advise that you contact a business member's references to ensure that their products or services are right for your needs. Participation in the Business Members program does not constitute a recommendation by Nonprofit Connect. 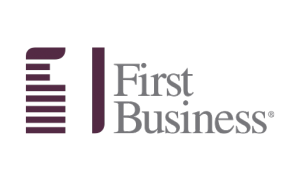 Interested in becoming a Business Member? Learn more. Fervor's Brand Impact Assessment is the cornerstone of our strategy. For the first time ever, we're offering this process in a cohort format. You'll identify Ideal AdvocatesTM , craft messaging and build a marketing plan. Get ready- this changes everything. Need tees for your company or event? GOEX is a local KC company that produces premium quality ethically made, Fair Trade, and living wage t-shirts. We offer custom screen printing on group apparel and with our in-house graphic designer we can come up with your perfect design. Owned by a local nonprofit 100% of our profits are reinvested to care for kids around the world. As a Nonprofit Connect member, you will receive a 10% discount on your first order. Simply email carly@goex.org for details. Local company, LaserCycle, partners with nonprofits to lower internal printing costs by offering expertise with copiers, printers, supplies and service. Our Nonprofit Program guarantees lowest toner tier pricing for Nonprofit Connect tax exempt members with an annual rebate through the Greater Kansas City Community Foundation. Contact us for a free evaluation at 913-894-7470 or care@lasercycle.com. Market your organization or event on a Kansas City Institution. KKFI, with an 80 mile listening radius, has been the region’s home for eclectic music, arts and local public affairs since 1988. As the most diverse 100,000 watt radio station in the Kansas City Metro, you can market directly to a targeted audience of music lovers, arts patrons, and active members of the community. KKFI offers a dollar for dollar match for on-air spots to non-profits doubling your airtime and impact. Marketing Packages may also include email blasts, social media marketing, and giveaways. Increase your direct mail conversions significantly by adding IP Targeting from NextPage. IP Targeting matches the physical addresses on your direct mail list with computer IP addresses, allowing digital ad impressions to be delivered to the same household. When IP Targeting was added to a recent donor campaign, our local nonprofit saw an increase in giving to the tune of 186% over direct mail only. An outreach of St. Andrew's Episcopal Church, HJ's Youth & Community Center opened last year with a mission to support and connect with Kansas City nonprofits. It has four meeting rooms available to rent to host trainings, community discussion groups, board meetings, scout meetings, etc., plus a large kitchen and terrace. It's also a nice gathering spot in the heart of Brookside for free Roasterie coffee and conversation. HJ’s has its own large parking lot. Nonprofit Connect members receive a 25% discount on rental pricing. Please contact Zach Beall at zbeall@standrewkc.org or 816-606-3239 for more information. We're proud to offer Nonprofit Connect members a 10% discount on their first year of service with Bloomerang! Thousands of nonprofits are already using Bloomerang to better manage their donor relationships. Are you ready to join them? We are pleased to provide Nonprofit Connect members one free hour of consultation and one hour of prospect research. Please email Katie Kendle at Katie.Kendle@AsselGrantServices.com to schedule your consultation appointment. Altimeter Consulting: Vision to Soar at 30,000 Feet; Expertise to Land the Plane. Leigh Reynolds spent 20+ years in the non-profit trenches, managing events, supporting and empowering volunteers, leading meetings on Capital Hill, and cultivating relationships with 14 year old team captains and million dollar donors alike. This honed her unique ability to envision how the pieces come together at 30,000 and then work with the team to execute the right tactics to make the vision a reality on the ground. In this free 30-minute coaching session, Leigh will offer personalized, specific input and insights right-sized for you. Whether you need help with a campaign pitch, ideas for managing a challenging volunteer, a sounding board for your event idea, or some strategic insight, Leigh can help. "My goal is to make your life in non-profit more engaging, successful and fun. Because the world needs change-makers like you!" Email 501help@altimeterconsulting.com to schedule your free consultation appointment. Is your CEO's salary reasonable? BKD's "Benchmark" tool allows you to compare executive compensation figures for key personnel from up to 250 organizations. Additionally, the tool generates reports showing averages, medians and specific data points from the Form 990. Nonprofit Connect members may obtain an executive compensation report for only $250 (50% off the normal price of $500.) To take advantage of this offer, email BKD Partner Tondeé at tlutterman@bkd.com. Good nonprofit governance is more than just attending Board meetings. It encompasses the steps and tools needed to develop “resource leaders” for your organization. The Byrne Pelofsky Board Evaluation Tool addresses the myriad of responsibilities facing nonprofit Board members to help your Board assess its strengths and identify opportunities for growth. Nonprofit Connect members receive exclusive access to the Byrne Pelofsky Board Evaluation Tool. Click here for the Byrne Pelofsky Board Evaluation Tool. High-Impact Boards: Everyone wants one. Learn how to advance yours. Receive 20% off From Intention to Impact board assessment and workshop. WePlanWell: Tired of spreadsheets? There's an easier way. Use the WePlanWell online system for streamlined plan assessment, reporting and scorecards. Receive 20% off your first year subscription. Click here to access your discounts. Most of us are quick to insure obvious risks like our health, house and vehicles, but when was the last time you reviewed protections for your organization's most valuable asset- its computer information system? How resilient is your organization's computer system? Do you have a clear understanding of what should happen in event of a hardware failure, ransomware infection or other critical threats? Of course, our Assessment is just a starting point. We hope it provokes thought and helps you ask some penetrating questions to make sure your organization's information assets are properly secured. And if you would like to continue the conversation, we invite you to contact IDEOLITY at your convenience. No sales representative will call you. Click here to take the Data Security Assessment. The Nonprofit Village at 31w31 offers nonprofits shared infrastructure costs of offices, event space, conference room, state of the art print station and more. Organizations can reduce their cost base and focus on growth in a shared ecosystem with like-minded individuals. In addition to drop-in and dedicated offices, 31w31offers virtual office, plus conference room and event rental. For Nonprofit Connect members we offer 3 free days of drop-in coworking. Click here for more information. 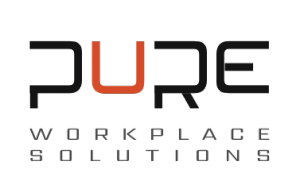 PURE Workplace Solutions provides offices with efficiently designed and aesthetically pleasing furniture. We work with dozens of manufacturers to source the best and most innovative options for our clients. As furniture professionals, PURE can assist in the planning, design, delivery, and installation for every piece of your office. To learn more about the services and products we offer click here. For Nonprofit Connect members, PURE offers 50% off the manufacturers’ Published list price for Global, Hon, and DSA products. In addition, for all entities with a 501(c)(3) status, PURE offers fixed/negotiated pricing via the National IPA contract, State of Kansas Contact, or the Jackson County contract. To take advantage of these programs, email jp@pureworkplace.com or call (816) 922 - 6575. Lathrop Gage expertly handles the issues that impact most nonprofit organizations; including tax, corporate, governance, charitable giving, government affairs, labor and employment, deferred compensation, executive compensation, intellectual property and litigation. We provide industry-focused, strategic legal advice to our tax-exempt charitable organization clients. Our level of knowledge and depth of resources directly translates into cost-effective representation. Learn more at www.lathropgage.com. For Nonprofit Connect members, Lathrop Gage offers one free hour of consultation to a nonprofit organization that becomes a new firm client. To take advantage of this offer, contact Lyle Pishny at 913-451-5101. Mission Counsel is a small local law firm dedicated to the success of nonprofits. Prior to practicing law, our founding attorney worked for nearly a decade in the nonprofit sector, so he understands the value of your organization’s mission. At Mission Counsel, we work every day to provide mission-focused legal advice that helps advance the success of nonprofits throughout Kansas City. As a Nonprofit Connect member, you will receive a 15% discount on your first bill from Mission Counsel. Simply email info@missioncounselkc.com for details. Complimentary Benchmark Report: Start off the New Year with valuable insights into the finances of your nonprofit organization. A complimentary benchmark report can help you see your organization’s finances in ways that you have never seen it before, and create opportunities to help you move closer to your mission. 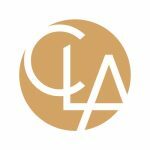 To get started, email Dan Kopshinsky at dan.kopshinsky@claconnect.com. At First Business Bank, our nonprofit banking expert Carmen Zuniga, Vice President, can help you with customized banking solutions for nonprofits that address your organization's unique financial challenges and maximize cash flow. Nonprofit Connect members can schedule a complimentary consultation to review your banking solutions to help optimize your financial position now and in the future. Supporting nonprofits and improving our communities is a core value at First Bank, which we accomplish through creating networking, educational, and fundraising events for nonprofits, and through volunteering. Last year, more than 200 First Business Bank employees volunteered more than 8,000 hours, serving on boards, and providing educational and networking opportunities that touched nearly 500 local nonprofits. When we're truly supportive and connected in our communities, that's, as we say, "Banking Beyond Expectations." Morrill & Janes Bank & Trust is proud to support local nonprofits. The work your organizations do is critical to fostering a strong and vibrant Kansas City. As a thank you, we’re offering complimentary access to our AtWork program, a benefit traditionally reserved for our commercial clients. We’ll come to your office and provide no-cost financial education for your staff. Depending on your needs, this can range from one-on-one consultations to organization wide seminars. To learn more about the program and setup a time to connect, visit us at https://www.mjbtrc.com/business/commercial/bank-at-work. Moyer & Moyer Insurance specializes in serving the unique insurance needs of nonprofit organizations and faith-based ministries. Our desire is to protect nonprofit organizations and the people who support them. We offer any Nonprofit Connect organizational member a free insurance analysis and a no obligation quotation for your consideration. To take advantage of this offer, please contact BJ Moyer at 816-525-0765, ext. 110 or bj@moyerinsuranceagency.com. For Nonprofit Connect members, we offer pre-recorded webcasts that offer free CPE credits. The RSM nonprofit practice consists of professionals who meet the assurance, tax and consulting service needs of organizations in areas such as: federal award compliance, international, technology and more. Our objective is to maintain the most current information available related to developments for nonprofit organizations so you can focus on success and not regulations. Would you appreciate our complimentary guidance on how to decipher and apply the new reporting standard for financial statements of not-for-profit organizations or the new revenue recognition standards? RubinBrown offers Nonprofit Connect members one free 2 hour consultation with one of our Not-For-Profit Services Group leaders to help you identify how these new standards apply to your organization. Contact RubinBrown Not-For-Profit Services Group KC Partner-In-Charge Sharon Latimer at sharon.latimer@rubinbrown.com. Earn your masters of Public Affairs at a special tuition discount rate only offered to Nonprofit Connect members! The Park University MPA degree program is a values-grounded, liberal arts-based professional graduate program designed to develop leadership across all sectors of society. Reflecting today's multisector and cross-sector realities, managers and leaders prepare for service by building their knowledge base, decision-making capabilities, critical thinking and governing expertise across the government, business, industry and nonprofit sectors. Program concentrations within the MPA degree include: Business, Government and Global Security; Nonprofit and Community Services Management; and Disaster and Emergency Management. To learn more about the Master of Public Affairs Program at Park University, click here. To speak to an admissions representative about claiming your tuition discount, call 816-559-5625 or email gradschool@park.edu.